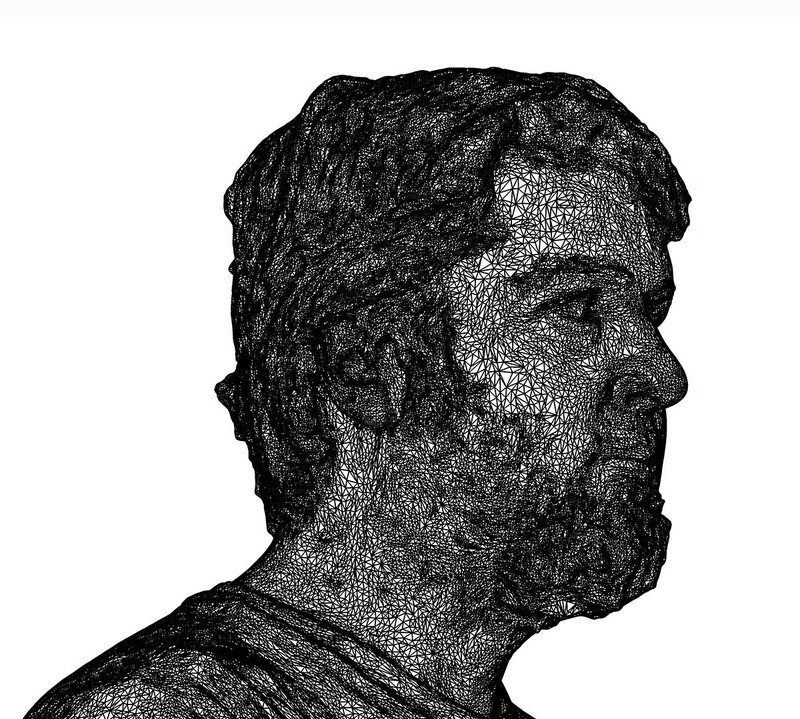 Austin Community College Art Department will be hosting an exhibition of Professor Brent Baggett’s work created on his recent one-year sabbatical. 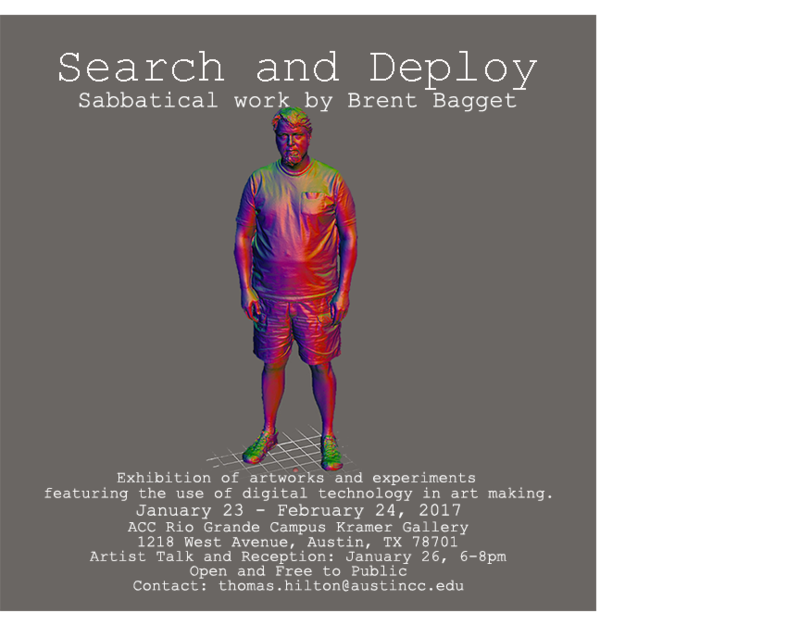 The exhibition titled “Search and Deploy” will be on view at the Rio Grande Campus Kramer Art Gallery, 1218 West Avenue, Austin TX, 78701, from January 23rd – February 24th 2017 with an artist talk and reception on Thursday, January 26th, 6-8pm. The exhibition, Search and Deploy showcases Brent Baggett’s many experiments created while on his one-year sabbatical. The goal of Brent’s sabbatical was to explore new computer and fabrication technology and how it may be used by ACC art students. Objects created from cutting edge fabrication techniques will be on view including: various types of 3D prints, carvings from a computer-controlled router, examples of laser and photogrammetry scans and laser cutting. Brent Baggett was born in Paducah, KY in 1972. He graduated with a BFA, in drawing, from Murray State University, KY in 1996 and his MFA, in sculpture, from Bard College, NY in 2007. He has been teaching studio art at Austin Community College since 2008. In addition to teaching, Brent designs and fabricates large-scale sculpture for local sites and sites around the nation.